Who didn’t see this coming? The definition of insanity is doing the same thing over and over and expecting different results. The same could be said with hiring Olbermann and thinking that it would not end in a bitter split. Just ask MSNBC and ESPN. Such was the case with Current TV today when they fired Keither Olbermann. According to accounts, Olbermann clashed early and often with Mr. Hyatt and Current TV execs. For nearly a year now, Al Gore and Joel Hyatt have been building their liberal cable news channel, Current TV, with the mercurial television anchorman Keith Olbermann at its center. In a letter to their viewers Current TV stated they they were founded on the values of respect, openness, collegiality, and loyalty to our viewers. Unfortunately these values are no longer reflected in our relationship with Keith Olbermann and we have ended it. There might be only one thing worse than being fired. How about bring replaced by Eliot Spitzer? Yes, the same disgraced former NY Governor Eliot Spitzer, Client # 9 who was an absolute ratings catastrophe at CNN. So much for the match made in heaven putting together the genius of Keith Olbermann and the media mogul Al Gore. Ha, ha, ha … fantastic tweet at Protein Wisdom from Jonah Goldberg, “When they write the history of Gore v. Olbermann, will they call it “An Inconvenient Douche.” PRICELESS!!! UPDATE I: Keith Olbermann’s response can be read here. Always the victim, Keith tried so hard to make it work and tried to bare the the pain and suffering, but alas nio one would listen to his ti-raids and nonsensical requests. UPDATE II: Olbermann threatens lawsuit as Current TV Won’t Pay $50 Million Deal, Cites Breach of Contract, Sabotage, Disparagement. Is Uber-Lib Keith Olbermann Returning to ESPN … Say it Isn’t So! Did Current TV simply use Keith to gain attention and higher ratings? They KNEW what they were getting! Keith injects emotion into his commentary, his intelligent and incisive reporting, his humor, and his relationships….all of which makes his program so interesting. You FEEL his pain, you FEEL his anger, and you FEEL his heart-felt sincerity when he covers a story. He’s never just a talking head! If Keith is absent from Current TV, then I too will be absent from Current TV. Keith is unique- one of the best- hands down; as shown by is coverage of OWS, which was outstanding. I wish him well and hope he is back on the air soon. 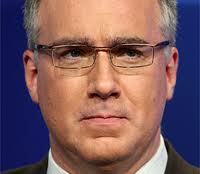 SM: Feel his pain, LOL … Ask anyone who has ever dealt with Olbermann, he cares about himself.